Organic care for strong, tough skin. After speaking with fellow racers, I discovered the healing powers of Joshua Tree climbing salve. This organic balm is primarily used to care for cuts, burns, and abrasions, but it works wonders as a solvent to condition your calluses and blisters. 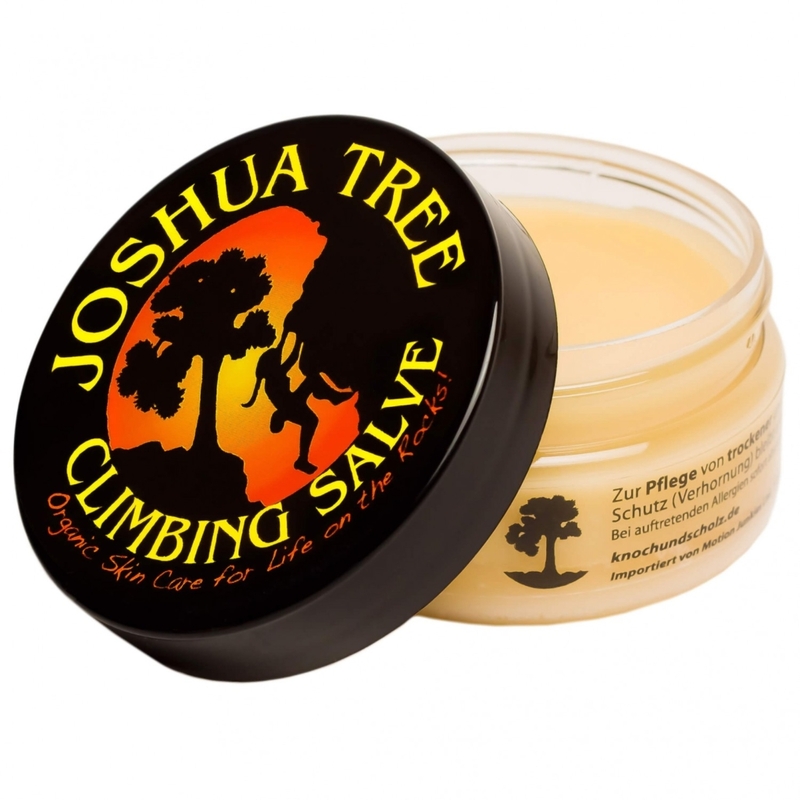 Joshua Tree climbing salve is made from essential oils and natural herbs and works to promote healing; it does not soften your callouses. Our body produces callouses as a way to protect us from the elements, so we do not want to remove them all together, we just want to promote tougher skin so that we can make the most of every training day! After using Joshua Tree salve, I have noticed a significant improvement in my ability to work grip strength and run for longer durations without the lingering fear of tearing my calluses or developing painful blisters. This product retails for $17.99.